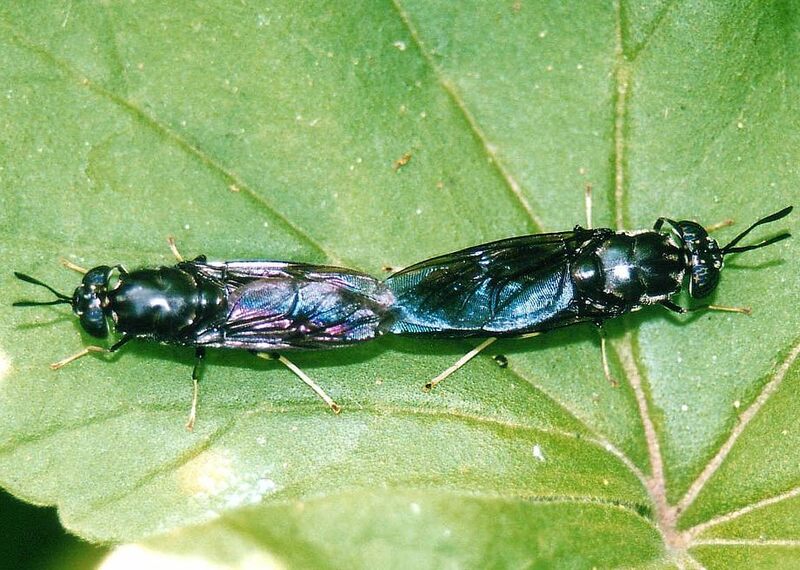 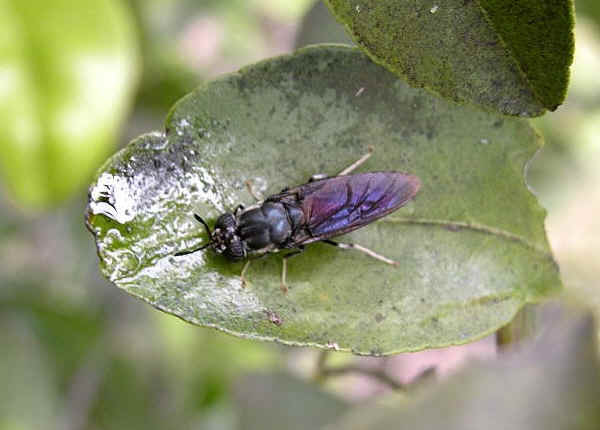 This page contains pictures and information about Black Soldier Flies that we found in the Brisbane area, Queensland, Australia. 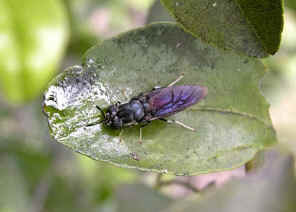 This fly is easily found on leaves in garden plants during all seasons of the year in Brisbane. 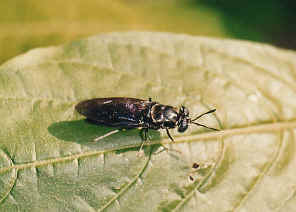 The fly superficially resembles wasp in its appearance and behavior. When at rest, its wings are folded on top of each other on abdomen. 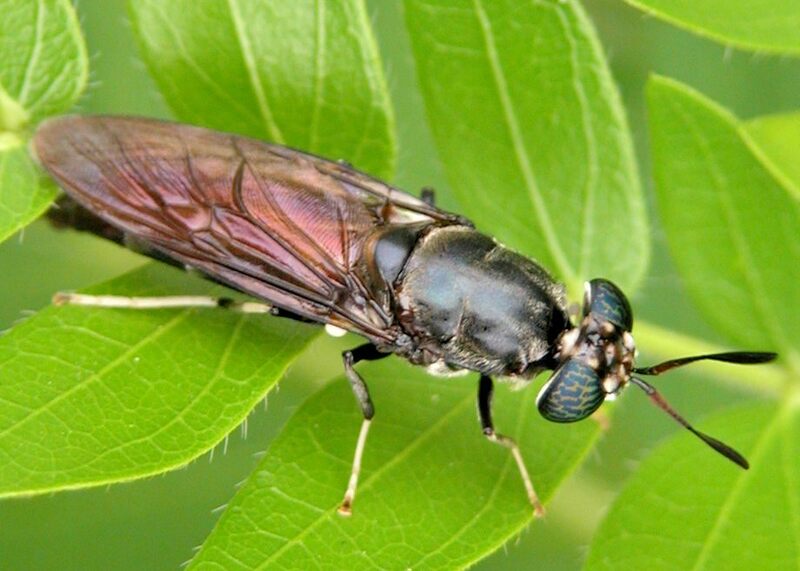 Their long and slightly elbowed antenna also makes them look like a wasp. 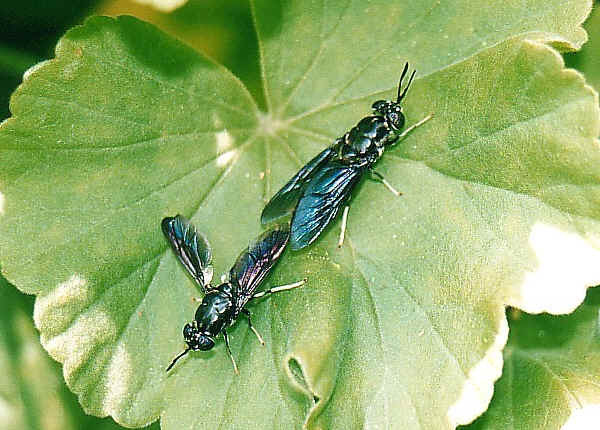 We had miss-identified them as Golden Sand Wasp. 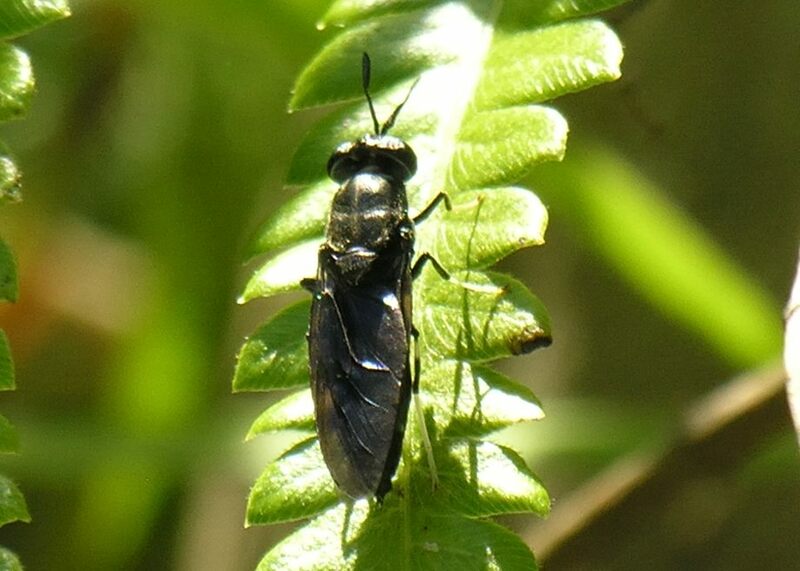 Visitor Frank leave a message on our guest book suggesting they could be flies that might mimic wasps. Later we received another email from Martyn Robinson of Australian Museum advised us that " this fly was soldier fly. These flies are often found around compost heaps and produce the large grey maggots you can find in worm farms. They are harmless and you can catch them by hand if you want." 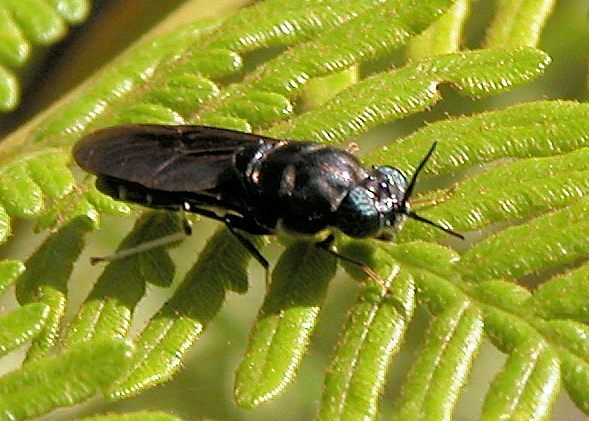 This flies look like a black wasp. 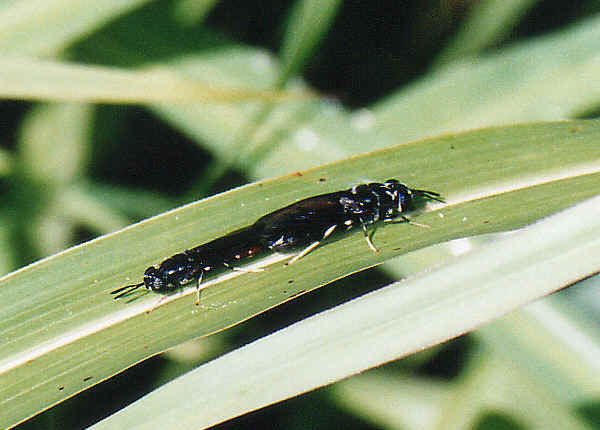 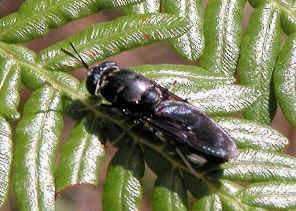 It has long antenna, the body and wings are in shiny black colour. Their legs are black with white tips. From information on the internet, this Block Solder Fly is common and widespread around the world.